Some say that a great and ancient wisdom is hidden in the mysterious images of the Tarot deck. That it is the sole surviving remnant from the great libraries of ancient Egypt. This may just be a romantic delusion as others say it originated in northern Italy during the early 15th century for a card game called triumphs. 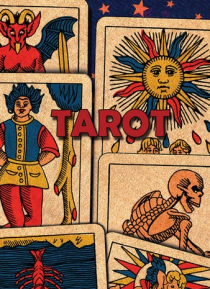 However, recent research shows that Tarot cards may indeed have a mysterious o… rigin and may well have been intended as more than a simple game.